granting us His great mercy. Take courage, for today I have conquered death. I am the Resurrection, the One Who will set you free. I shattered the gates of the realm of death. and offer to You our evening hymns. deliver Your people from the hands of Your enemies. and all holy princes, God-pleasing leaders of our nation! By your holy lives you opened the doors of truth and grace. You strengthened the Church of Christ in our Ukrainian lands. You are our constant protectors and intercessors, our honour and glory. 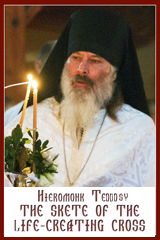 All the choirs of the hierarchs, mighty luminaries of the Ukrainian Church! not hesitating to give up your lives for your sheep. and great mercy for our souls. dedicating their lives to God! to configure ourselves to Christ God for the salvation of our souls. mercy and God’s bountiful blessings. and were broken in spirit and wasted by beatings, starvation, and cold! Your numbers and your names are known only to the all-knowing God. and with your tears bedewed the prison cells and torture chambers. Your martyrs’ blood testifies before heaven and earth to your unwavering faith in God. You are our powerful intercessors before the throne of the Most High. so that they could joyfully and freely glorify your holy names. and brought us to the Sun of Justice, Christ our God. and passed on to us for the sanctification and salvation of our souls. You are the temple, the gate, the palace, and royal throne, O most pure Virgin. desiring to enlighten those He had created in His own image. pray to Him unceasingly that our souls may be saved. holy priests and monks, confessors and martyrs for the Church of Christ. Their struggles are the source of our strength. in the light that knows no evening. O Princes and bishops glorified in Christ,* you monastics and martyrs,* and you staunch confessors from every age of Christian Ukraine,* pray to Christ our God that He gaze with a merciful eye on our nation* and grant it the grace to endure in faith,* and that the souls of its devout faithful, who honour your sacred memory,** may be saved. 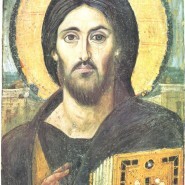 Troparion, Tone 4: O you, who glorified Christ:* princes and bishops,* monastics and martyrs,* and steadfast confessors of Christian Ukraine throughout all times,*pray Christ God to look with favour on our people* and to grant them the grace to persevere in the faith* that the souls of prayerful faithful* who revere your sacred memory* may be saved. Kontakion, Tone 4: You shine as bright beacons,* O God-inspired and righteous saints of our Church. * By your encouraging example,* you serve communities of faithful throughout the Christian world. * Therefore we humbly bow our heads to you* thanking our great and all-gracious God* Who has made you our intercessors in heaven* where you pray for our souls. Precious in the sight of the Lord is the death of His venerable ones. verse: In You, O Lord, have I hoped that I may not be put to shame for ever.